Because tea comes in so many different forms, it can be confusing to know which type of tea is best. Tea drinkers around the world have their preference as to which tea is the best quality, is easier to brew, tastes better, or gives the most value for your money. Below are some of the different forms and types of tea which are available. 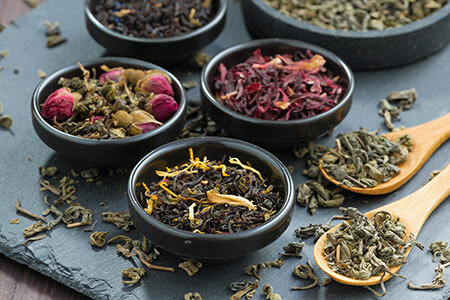 Most loose teas are hand-picked and processed in produced in a specific manner using tea leaves of high-quality in order to produce the best tea. This is sometimes referred to as the artisan method. When you use loose tea, you are most likely getting the best, most robust flavor and scent which adds to the quality of the tea. Preparing a Perfect Cup of Loose Tea – The steeping time for loose leaf can vary, depending upon your preference. Most teas can be steeped for between 8 -15 minutes. Steeping longer increases the strength of the tea. Care should be taken to avoid over-steeping. Teas made with Camellia sinensis or certain other herbs can be high in tannins. These tannins can make a tea bitter. Loose Tea Can Offer Better Value – Buying tea in a tin or in bulk can cost more. However, in terms of economy, loose tea can offer tea drinkers not only a noticeably better tea in terms of quality, but it can also prove to be better value for the money. When using loose tea, the same leaves may be steeped multiple times for additional cups of tea. Just keep the tea in your tea ball or strainer in the fridge until the next time. You’ll get 70-90 cups of tea from each 5 oz can of Jason Winters loose leaf tea blends. Environmentally Friendly – You just can’t get any more environmentally friendly than loose leaf tea! Like every other kind of leaf, the leaves of the Camellia sinensis plant and other herbs found in loose teas are completely compostable. Once you are finished with them, they can be put back into the earth to enrich the soil as compost and be used in the garden. The accidental discovery of bagged tea was due in large part to a marketing scheme. It was a way for a New York tea producer, Thomas Sullivan, in the early 1900’s the ability to offer samples of new tea blends to his customers inexpensively. Sullivan put the samples in small, hand-stitched silk bags. This gave him the ability to ship new teas to his customers around the world without the added expense of putting his tea in tins. Sullivan’s customers found that even though they were supposed to remove the tea from the silk bags, it was very convenient to just leave it in the bag and brew their tea. Over time the idea caught on. Even though Sullivan patented his idea, other tea companies around the world followed his initial idea. Over the coming decades, tea bags transitioned from silk to cotton to paper as well as changing their configuration of different shapes, sizes and ways of being mass produced into what we see on the market today. 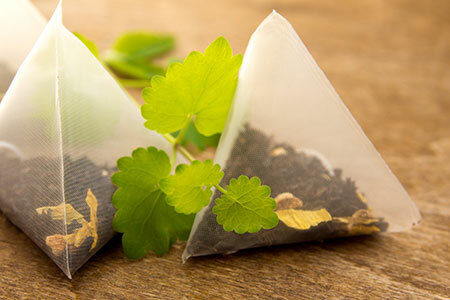 Tea Bags Offer Convenience – Pre-packaged or bagged tea does have the value of being very convenient for tea drinkers. As in the past, tea bags offer a way to enjoy tea which is easily transportable and can be used anytime. Most companies offer bagged versions of their tea. Teabags give you the ability to get just the optimal amount of tea for brewing just a cup at a time. If a tea drinker wishes to have a pot of tea instead, they can simply use multiple bags to brew a pot. Quality Plays a Role – Some tea companies will offer this convenience in lieu of quality. The most common complaint among tea drinkers of all times is that many commercially available bagged teas are of poorer quality than their loose leaf counterparts. The bagged tea which many consumers buy in the grocery store brews a cup of tea that few true tea connoisseurs would drink. Other companies, such as Sir Jason Winters Teas, for example, take great pride in offering teas that are equivalent to our loose leaf teas. With tea bags, you don’t need to have an infuser to clean out so it’s very convenient when you are traveling. Pre-Brewed Teas – For tea connoisseurs who demand the fine taste which loose leaf tea is famous for, but don’t want to wait 15 minutes, pre-brewed teas can provide the perfect answer. Sir Jason Winters pre-brewed teas are ready to drink in just two minutes. Sir Jason Winters developed a method to help tea drinkers a way to get a consistently good cup of tea in the shortest amount of time, every time they sit down for a cup of tea. He did this by extracting the three ingredients that make up the Jason Winters Formula and then spraying that over a base of Oolong tea. This process allows tea lovers to enjoy their tea without having to expend as much effort in brewing and steeping their tea before they enjoy it. 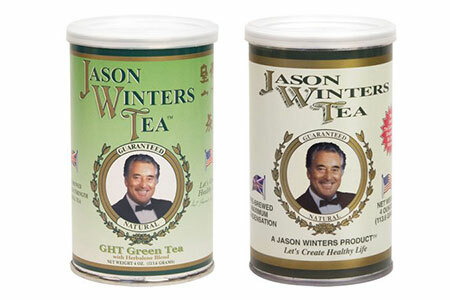 Sir Jason Winters offers the original tea which he created almost 40 years ago, as well as the Green Herbal Tea or G.H.T, Raspberry, Peach, and Cinnamon flavors. Drinking tea offers a convenient way to potentially boost your immune system and relax you. There are lots of good reasons to choose to purchase your tea in the loose, tea bag or pre-brewed forms. Which form and flavor you choose depends solely on your own personal taste and preferences. Why not try a little of each kind and see which one you prefer?